Mining is a significant community issue and an important focus for WaterNSW. There is a long history of coal mining in the declared Sydney catchment. In recent years, coal seam gas has been an emerging issue in various parts of NSW, including the declared Sydney catchment. the ecological health of the Special Areas. 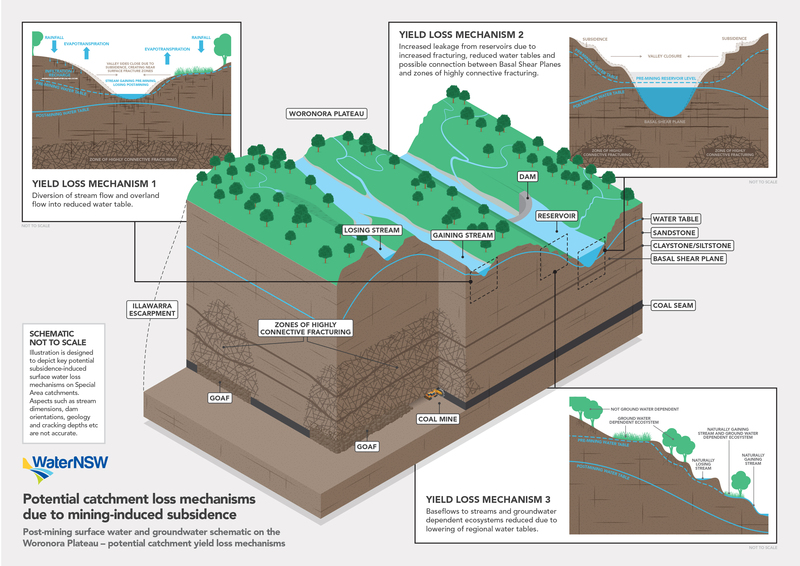 Surface water losses which may occur due to mining: As identified in our Literature Review report (link below), there are essentially three mechanisms which may potentially result in long-term or permanent removal of water from the surface water catchments across the Special Areas. These three mechanisms are summarised as follows and explained diagrammatically as indicative pre-mining and post-mining conditions. Who approves mining activities in NSW? 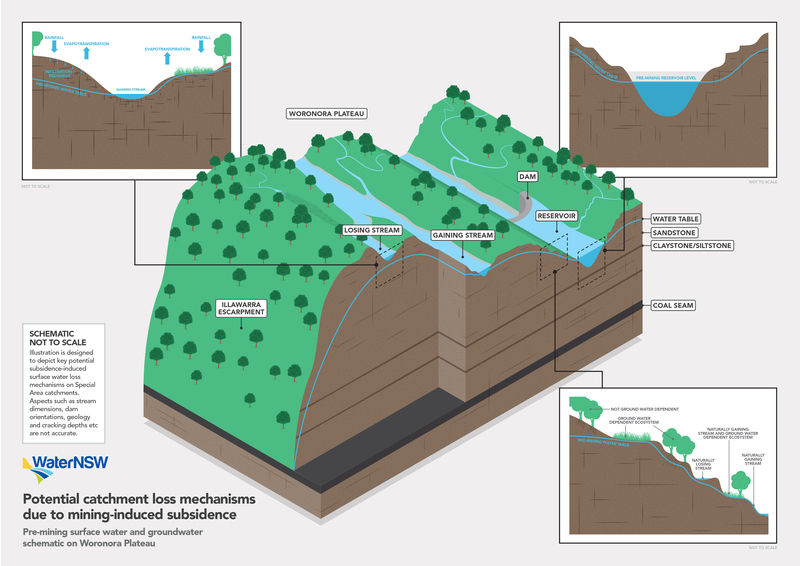 What role does WaterNSW play in mining?